Note: I've been guest blogging the presidential race for Canadians at blazingcatfur.ca. Below is what I wrote for them today. America is currently in the middle of a hiatus in the republican presidential campaign. This consists of two weeks with no primaries or caucuses. The next primary is April 5th in Wisconsin, the state directly east of Minnesota, where I live in St. Paul. The pause has not been refreshing. Instead, old narratives that have failed previously are doubled down upon and reiterated with greater desperation. These consist mostly of animosity and opprobrium directed toward Donald Trump. They themselves don't seem to be doing much damage but Trump appears to be close to or over the line concerning Ted Cruz's wife Heidi. The short version is that allegations about Ted Cruz's infidelity were fed to a tabloid newspaper (we surprisingly have very few of them, which makes it difficult for the average educated American to stomach most of the British press). These allegations of multiple affairs were shopped by supporters of former candidate Marco Rubio; this much is an open secret. They have played out as a dirty trick from the Trump campaign, however. In the Twitter back and forth Trump retweeted an unflattering photo of Heidi next to his supermodel wife Melania. This was not well received, even by such staunch supporters as Ann Coulter who complained that Trump sometimes reminded her of your 16 year old that you had to keep bailing out of jail. Naturally opponents gleefully seized upon such candor as evidence--yet again--that the wheels were coming off of the Trump campaign. No, but the episode should provide Planet Trump with an occasion to recalibrate its approach to the election. No one expects Trump to cease being himself but the furious need to respond to each and every slight or insult must, at some level, be tempered. Personally, I think this will happen because it requires so little not to be consistently outrageous. More substantively, Trump has hired an old hand, Paul Manafort, who knows how to collect the delegates he has won previously and keep them. The arcania, like most arcania, is tiresome so, again, the bottom line is that a campaign previously unaware of the shenanigans that can happen, leading to a stealing of delegates, is wide awake now, in plenty of time it must be said. This underscores the fight going on mostly just below the surface: the Republican establishment seeking any and all ways of denying Trump the 1,237 delegates needed for the nomination. All sorts of scenarios are spun out daily (the media hate interregnums and fill it with airy stories about what could or couldn't happen under any given set of circumstances) but these are exercises without much effect in the real world. The Wisconsin primary promises to be a close fought race. I believe Cruz will win it. Wisconsin Gov. Scott Walker, as expected, endorsed him today although Walker's popularity in the state is exaggerated. Losing wouldn't be a death knell by any means to Trump. If he were to win it, however, it could be the end of any serious threat to deny him the nomination should he come within a dozen delegates or so. The states upcoming next--Rhode Island, Connecticut, Delaware, Pennsylvania, and Maryland—which vote before the end of April, then in May, Indiana, Nebraska, West Virginia, Oregon, and Washington State and finally on June 7 California, Montana, New Jersey, New Mexico, and South Dakota, all greatly favor Trump. The question will be how large in each of these states will be his win? If sufficiently large he'll have the delegates necessary to put away the nomination. Few, however, think that his wins in these states, though formidable, will be large enough to secure the requisite number of delegates. He will, however, mostly likely be very close. Mr. Manafort, consequently, will prove to be consequential. He's adept at rounding up and keeping delegates in his candidate's column. This is also a good time to remember that several hundred uncommitted delegates exist and it's assumed that Manafort is already working on bringing many of them onboard. Trump will secure the republican nomination short of the GOP establishment detonating a suicide belt. This is not beyond the realm of the possible but unlikely overall: self-interest is a powerful motivator. No one has any idea who he would pick as his vice presidential running mate because we're all dancing as fast as we can currently. There is only so much that can be processed. To be sure, many officials, pundits and hangers-on have self righteously proclaimed that they will not vote for Trump under any circumstances. The more special snowflakes have already declaimed they'll vote for Hillary Clinton. The base owes Trump an eternal debt of gratitude for revealing the corruption, self dealing and pandering to donors that has consumed the Republican Party. Much is made on the right that Trump can't win, can't beat Hillary, that this or that demographic of the electorate hates him. If you only listened to establishment Cassandras, you might be deeply worried. I, however, do not. At least not exclusively: I keep a keen eye on what the Left is saying. To its credit, they are not hiding their concern about Trump being a formidable candidate appealing to wide swaths of the electorate including very much parts of the traditional Democratic base. It's a telling indictment that the Republican establishment has more in common with the elites of the Democrats than with its own base. Once seen it cannot be forgotten. Some on the Left can be very clear eyed as to what a profoundly weak and unappealing candidate Hillary Clinton is and will continue to be. This is something that's not much discussed by the anti-Trump faction on the Right but it remains true. "Jesus I just had my first he-could-win-the-whole thing moment." Yes he could, hence the bi-partisan panic that will surely increase as November approaches. 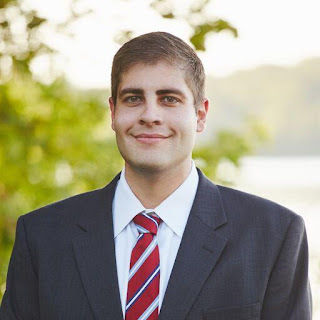 Saturday Minnesota republicans in Senate District 47 cooly destroyed any hopes of Norm Coleman creating a political dynasty in Minnesota when they summarily rejected his 29 year old son Jake as the endorsed candidate to succeed Julianne Ortman. Instead of eating the heir apparent dog food, republicans sensibly chose Dr. Scott Jensen. It wasn't close: Coleman conceded after the first ballot. MNGOPe was hardest hit, of course, with boot lickers and hangers on more concerned about advancing their own small, untalented careers by falling in line behind a retired US senator's son than by thinking through who the actual residents of Carver County might want. They do what they must in order to be rewarded, not because it's the right thing to do or required by principles. It's all transactional for these types and it shows by their increasing isolation from those whose support they most need in order to succeed: real, actual voters. Despite their smug self-satisfaction, they actually aren't very good at politics and would otherwise be low level Target managers or lifers at MnDOT (taco Tuesday!). When Ortman retired Coleman promptly moved into the district while initially denying any interest in running, thereby displaying all the subtlety for which his father is known. He raised over $50,000 in three months, an unheard of sum for someone both this young and a political neophyte. No one who was not the offspring of an accomplished lobbyist, former mayor and former senator could hope to raise as much. He had spent the previous four years on the staff of Rep. Erik Paulsen, biding his time. He thought this was it only to find out that it very much wasn't and likely will never be. Dr. Jensen acidly noted "I didn't claim the values of this area, I've lived them." Coleman had clumsily and unpersuasively said he moved to Chanhassen because he was looking for a community with values that he shared. Only those types who think Marco Rubio authentic would buy such tripe. Jensen is the odds on favorite to win the senate seat this fall given the makeup of the district. That's why the endorsing convention was so important: both candidates had agreed to abide by it and so a Coleman dynasty will not happen this cycle. To be sure there may well be other attempts at office by Coleman fils. Still, he is badly damaged by this initial foray into politics and is seen as an interloper on several levels. When his fund raising totals were announced with some fanfare his campaign spokesman said they showed that Coleman "represents the future of conservative problem solvers." Except he doesn't: he represents the old guard with their bought and paid for policy positions that do precious little to make the average republican voters' life better. They can't be expected to keep their promises because the ones to the donor class always and everywhere have priority. Here, the entitlement was that because Dad made a living sponging off the public sector that his son had every right to as well. Only Minnesota republicans, for a change, did the right thing, illustrating once again that those in the establishment don't know what they're doing. There's much evidence of this on the national level but for a change it is satisfying to see it played out on the local. Photo credit: Jake Coleman, Twitter. Early last Tuesday morning, the day the Minnesota legislature reconvened, MPR reporter Brian Baskt, formerly of the Associated Press (same wine, new skin), published a story concerning the personal finances of House Speaker Kurt Daudt (R). Baskt reported that Daudt had been sued by creditors for unpaid credit card debts. In addition, Daudt was late in paying property taxes on two parcels of land he owns. The coverage was unflattering both because of its subject nature and because it was juxtaposed with Daudt's more or less general message of fiscal responsibility. Bakst's story can be read by clicking here. In an interview later that same day with Cathy Wurzer of Almanac, Daudt suggested that the collection arm of the law firm, Messerli & Kramer, probably didn't know who he was. The problem with this thought balloon is that Messerli & Kramer is one of most prominent lobbyists in St. Paul and Daudt is the Speaker of the House. Within minutes of that story hitting, the always organized Left on Twitter noted that Messerli & Kramer had hosted a birthday party for him the prior year. Team Daudt knew this story was coming and this was the best they could come up with? I'd ask for rewrite but I'm pretty certain that doesn't exist in Minnesota republican politics. Both the Star Tribune and the Duluth News Tribune subsequently ran editorials calling on the Speaker for further disclosure as to how these matters were handled. You see how that works? You find opposition research on a figure you want to hit, feed it to the press so the illusion is maintained this was done by the news outlet itself and then the wider liberal media echo the narratives, usually under the rubric of "concern" for the public's right to know. A Better Minnesota (ABM) is a far left or, if you prefer, progressive group financed by white supremacist Gov. Mark Dayton's ex-wife Alida Rockefeller and other wealthy fringe types. I don't care for their corrosive politics but I'm on record admiring their skill. It was ABM who found the story about Daudt and then fed it to local media. Twenty-four hours after the story broke they launched this site. Nothing on my side compares to this. J. Patrick Coolican of the Star Tribune was first offered the story, according to my sources. He passed on it, apparently satisfied with the explanation that the Speaker was taking care of matters and, consequently, there would be no real public record of the arrears. Naturally, ABM hadn't signed up for any last minute journalistic integrity from a Star Tribune reporter (of all people) and so it was off to the next stop in shopping its story. MPR ran with it and here we are. Yes, this is a bit like sausage making. I was amused to see on Twitter other local reporters call out to Bakst for his "scoop" and all that. It's all a little predictable and, well, yes, sad! Remember, these people still think Pulitzers have merit and gravitas. Who will tell them? And for god's sake, don't get me started on those preposterous "regional Emmys" that local television types think important. Sometimes reporters work hard (not often) and sleuth something out without it being handed to them on a platter. You can tell when this happens because the self-congratulatory preening is more obnoxious than usual. This didn't happen here. ABM learned about the arrears and other problems the Speaker was experiencing and simply fed it to local media. This is not only not new, it's de rigueur. Both sides do it but guess which one is more accomplished at the doing? I reached out, to use that nauseating phrase, to Brian Bakst for comment. He responded "I can say unequivocally that this was 100 percent homegrown on my end. I have no knowledge of what other reporters were up to as I was working toward publication. Thanks for reaching out, John." My question was whether ABM had given him a tip. Readers can decide what "homegrown" means or doesn't. Homegrown reminds me of homebrew which reminds me of illegal server. But that's just me. Similarly, I "reached out" to Joe Davis, the Executive Director of ABM, who this weekend was fighting off some cold or sickness the same as I was but who was decent enough to respond: "Hey John, We have no comment, but the Bakst story is all him. Thanks"
Well yes, we can stipulate that any Baskt story is all him, n'est ce pas? Yet how would Davis know that, exactly? Minnesota republicans do not have a local media which votes for them. Still, they are ready to run with any number of stories about the other side if the facts hold up. The problem is that Minnesota republicans have nothing comparable, on any level, to A Better Minnesota. How stupid does the Stupid Party have to be not to see what to do? I'm frequently criticized by my own (who are increasingly unrecognizable to me) that all I do is complain and criticize. What's the solution? ask those who would never write or verbalize what I do but who agree with it in private. Heroes, all. I should like to think I do far more than complain but the question, as Lenin would put it, of "What Is To Be Done?" is easy. Do what the other side is doing, only for our side. That assumes minimal political competence though, something in short supply in the Minnesota republican milieu. On a final note concerning the shopping of the Daudt story, I attempted repeatedly to contact J. Patrick Coolican through emails, DM's and public Twitter. No response. Readers may draw their own conclusions. There was a republican debate last night and there are four primaries this coming Saturday. While each will generate its own narrative and endless think pieces, what happened today was the beginning of the end of the Republican Party as we have known it in my lifetime and in the modern age. Failed 2012 presidential contender Mitt Romney was hauled out by a thoroughly panicked GOP establishment to launch a scathing, over the top attack on Donald Trump. He stopped just short of accusing him of child molestation and drowning kittens he had set on fire. It was a remarkable descent into sleaze and histrionics by a man most republicans continued to hold in some sort of esteem. Romney has forever ruined his reputation and it wasn't just among Trump supporters but a wide swath of the base. The only news that was made in last night's terribly moderated debate came at the every end: each candidate agreed to support whoever is nominated. Consequently the previous two hours of calling Trump unfit and a disgrace to the office was immediately undone. It's difficult to describe this debate as anything but a useless embarrassment. Sometimes lazy analysis is no less true for being lazy: Trump won because no one took him out. What would taking him out look like? No one knows because it hasn't happened, hasn't, indeed, even come close. Marco Rubio had been programmed earlier last week to attack the size of Trump's hands. This meme was generated in the hothouse of Twitter (I watched it be born and grow). Rubio mocked Trump's hands at rallies and at one point said that small hands on a man connoted a small . . . well guess. At tonight's debate Trump responded to that line of attack by saying his hands were large, as was everything else. Welcome to the American presidential race of 2016. The size of the male reproductive organ to one side, the debate was a shout fest, poorly moderated and instantly forgettable. Political pundits look for inflection points but there were none to be had last night. Trump continues to dominate in the polls and the upcoming set of primaries favors Trump doing very well. Once March 15th hits, the states award their delegates in a winner take all fashion, as opposed to the complicated and sometimes pinched proportional manner as has been the case up to now. Once winner takes all comes into full force, the expectation is a cascade of delegates will accrue to Trump and he'll be unbeatable at the convention. The Romney attack was designed in large measure to encourage voters in the various states to vote for anyone but Trump and deny him the requisite number. It won't work. Trump will be the republican nominee. Peggy Noonan fretted last night that the republican party is shattering but except for the grifter class, the donor class and their serfs in elected office, not many in the republican base much care. This is because the party has left them high and dry for decades now, insisting they'll defend their interests while selling them out at every possible turn imaginable. It's come as a tremendous shock to the bubbled class that they are being divorced, being left for someone who may be a bit louche or outre (what would we do without the French language for occasional use in English?). Conventional analysis no longer applies. A huge, political realignment is taking place in America and nothing will ever be the same again. Only a fool, and apparently there are plenty, would deign to suggest the metes and bounds of this realignment. But make no mistake: it is taking place and it is irreversible. Democrat supporters of socialist Bernie Sanders openly speak of voting for Trump if Hillary Clinton is their nominee. The yelps and howls from the corrupt establishment to the base that Trump isn't a conservative is thrown back in their face with the retort "And since when have you been?" The game is over, the spell broken. Trump has slain the media because it cannot stop him, cannot wound him, cannot kill him. 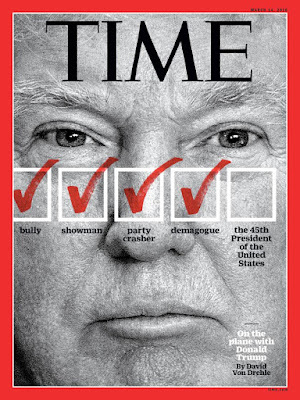 Voters from all walks of life in America know this instinctively and they've waited a long time for a politician who isn't built up and then subsequently destroyed by the dishonest Fourth Estate. It's possible but not probable that the bitter "Never Trump" movement can deny him the nomination but only through some means that destroys the party outright. Both in Minnesota and nationally, the party is full of mediocre people who do the bidding of the donors, thinking themselves accomplished politicos only to be outed by Trump as incompetents who don't know the very people they routinely fleece for money and votes. While the establishment is very angry, it is no match for the pent up rage of an electorate denied effective representation by a party that not only took them for granted, but this cycle treated them with utter contempt. Because of Trump, and for the first time, they can return the favor.